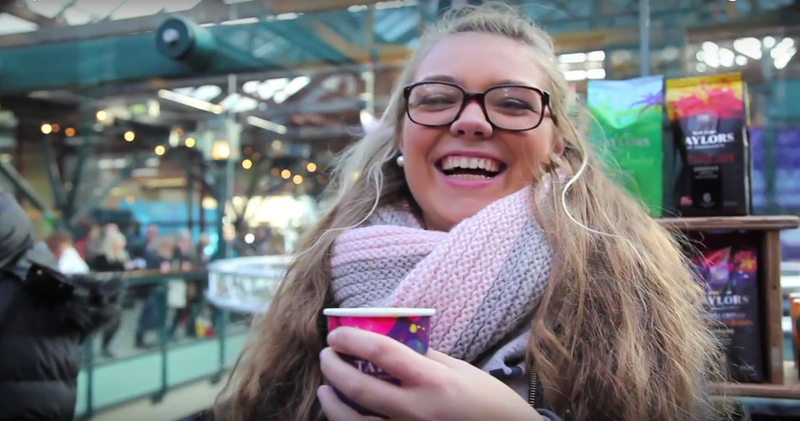 I shot and edited this jaunty little video for Taylors of Harrogate that captures the spirit of Christmas at the Taste of Christmas event at Tobacco Dock, London. The brief was to swoop in, set the scene and then capture the warmth and enjoyment of visitors sampling their coffees – especially their famed Christmas Blend. Shot in one day in 1080 HD video and edited in Final Cut Pro.